Last year my One Word was Pursue - You can read about it here. Well, this year's One Word is...a hem... actually two words. I couldn't find something that meant the same but in one word, so I went with two words. I struggle with being in the moment. Sometimes my hands and my eyes are attached to some electronic device. I miss things. Important things. I'm missing important dad things. Husband things. Classroom learning opportunity things. Coaching things. You name it. I miss things because I struggle with being "in the moment." My mind wanders. I do other things. I'll check my phone incessantly. I stare off into space. I wonder about whether that stain on the carpet was there yesterday or not. I don't focus on what I'm currently doing. Actually, I've probably gotten up about 15 times while writing this. I have a "present" problem. I also have a problem with being selfish and can be very me-first. I'm more me-first at home than I am at school. It's something that I'm working on and I'm hoping that my One Word will help me in this. I watched this by Alan Stein, basketball training guru, a couple of years ago and it really resonated with me. Yes, it's basketball related, but it can be translated to life. We need to play present. We need to give all we have to this exact moment. No matter what it is. Whatever we're doing at the very minute, we should be giving that our undivided attention. Alan states to focus on the process, and the two things that you have absolute control over - your attitude and your effort. Pretty simple really. Just "be present" in a script font. Nothing too fancy. I did add the Google Maps (or most maps now, I guess) location dot thing though. It's a reminder that I need to "be" right where I am. It's like I need to "check-in" and actually be present and not just existing in the same space as others. Moments needs to get all of me. A map of Medieval Europe. Not really sure why, but it's my tie-in to my social studies classroom. My One Word is supposed to encompass all facets of my life. From home, to school, to coaching, to the weekends. All of it. It's a reminder that no matter where you go, there you are. Honestly, I struggled with coming up for a verse for this year, but Romans 12:10 is the verse I chose. This verse is going to be my guide this year as I hope to turn my attention away from myself and onto my family, students, colleagues, and players. Devoted is a strong word. It invokes a lot of action. Love. I just read The Carpenter by Jon Gordon for the second time. You should read it as well. Love, Serve, Care is the success formula that J. Emmanuel shares with Michael in the book. This verse speaks to that. 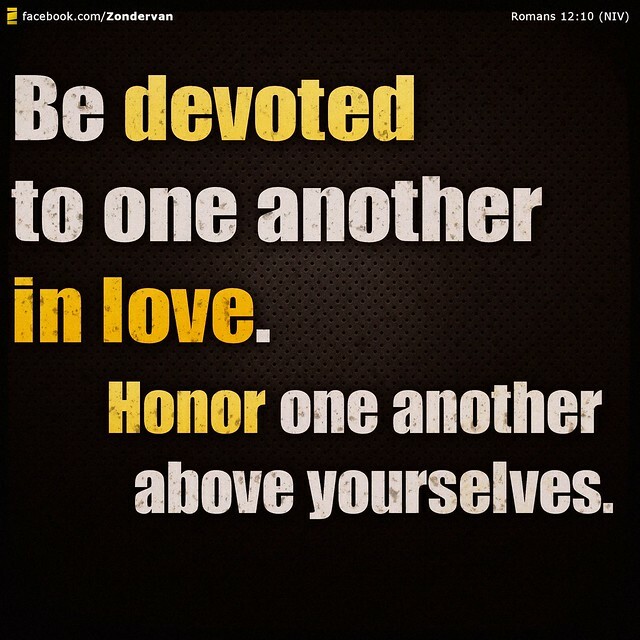 Honor.It speaks of humility and placing the needs of others before yourself. It's going to be a daily battle for me. It's going to be a challenge, no doubt. But the benefits are going to far outweigh the struggles as I hope to get more closer and develop more meaningful relationships with those who are closest to me. If you don't think I'm following my One Word, you have permission to call me out on it. 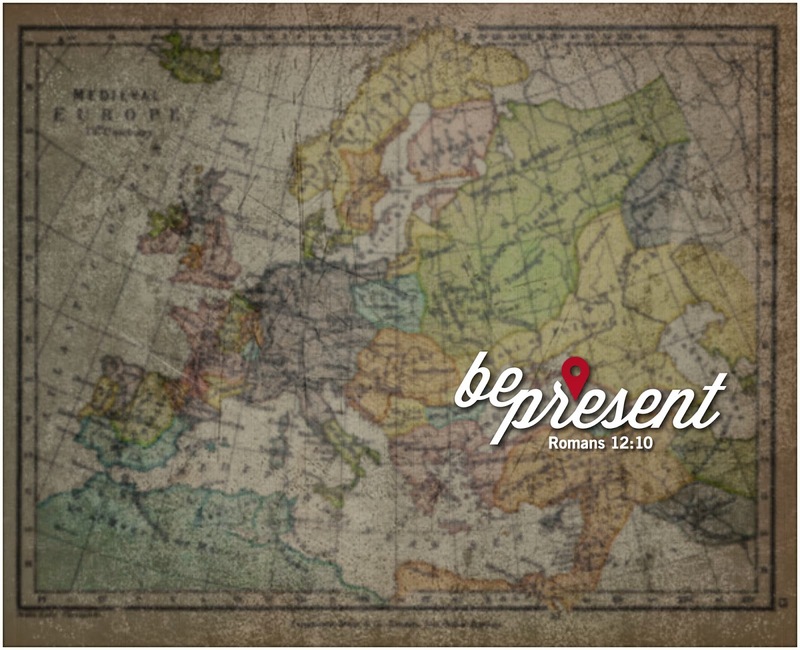 Be Present is my One Word for my school year 2014-2015. What's yours and why?